Unlike Telenet-Fidea, the BKCP-Corendon team of Mathieu van der Poel is being a bit more sneaky. They seem to be infiltrating the U.S. borders one by one as the eve of CrossVegas approaches. Vincent Baestaens showed up at Ellison Park this past weekend, taking the Day 2 win on Sunday. 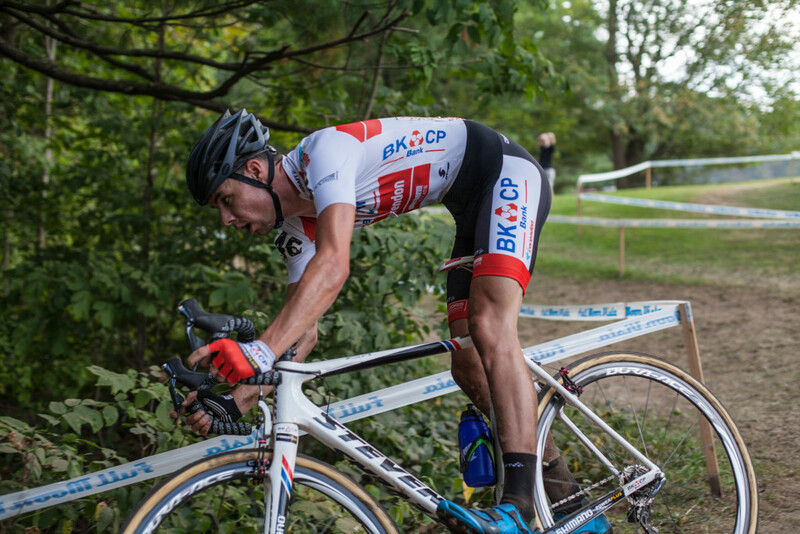 And now, we have just confirmed that Wietse Bosmans, the up and coming 23 year old who is fresh off of two wins at the QianSen Trophy races in China, will be racing in Pennsylvania this weekend at Nittany CX. Not to state the obvious, but MvdP’s form coming into the CrossVegas World Cup will be the biggest question mark in the race. It is among one of the topics we will discuss with some great guests next Monday on episode two of Crosshairs Radio. Lars van der Haar is also in North America ahead of CrossVegas. LvdH thought it would be a good plan to get some fast training on the road by racing the Tour of Alberta. But the nasty weather conditions conspired against him and after gutting it out for almost a week, LvdH threw in the towel, saving his desire for rain and cold for the SuperPrestige and Bpost Troffee races later in the year. Along with the new bike and kits, who knows what other surprises Sven has in mind for his debut at CrossVegas. 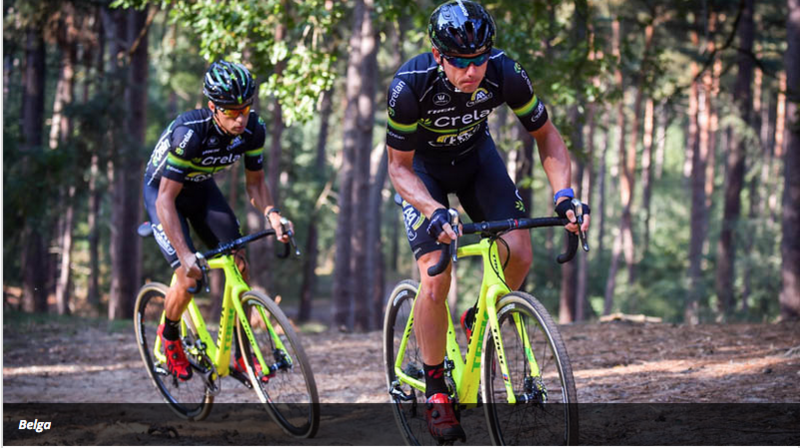 Finally, if you haven’t already, check out our new cyclocross podcast, Crosshairs Radio. Each week we will catch up with the pros racing in US and Europe to see how they fared over the weekend. First episode with Meredith Miller and Mark McConnell is posted. Next episode will be up Monday. As mentioned above, it will be a CrossVegas and season preview and should be a good one. And if you’re looking for something completely different, check out the Kids Don’t Follow Podcast where we try to stop talking about bikes for an hour and talk music instead. That’s it for now. Please send any questions, comments or tips to: feedback@cxhairs.com. Hey, I just learned about this webpage and podcasts from the Cyclocross Network Podcast. Thanks for doing this, and I am really looking forward to making this my go to page for CX news, and listening to your podcasts. Can’t get too much CX! BTW, rumor has it that Lars Van Der Haar is coming to the Portland, OR, area to race in a local CX race called Het Meer this weekend ( Sept 12 ) . I’ll be racing with the old guys in the morning, then hang out to watch LVDH and Ryan Trebon go head to head with the local boys.